If you’re a current Connected Camps member, you already know what Kid Club has to offer. 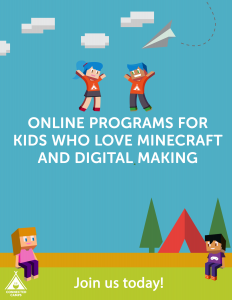 Kids can engage in free play, practice their Minecraft skills, and connect with others. Now, we invite all Minecraft enthusiasts, ages 8-15, to join in the fun. The server is open every Friday 1pm – 5pm PT. Visit this page to sign up. 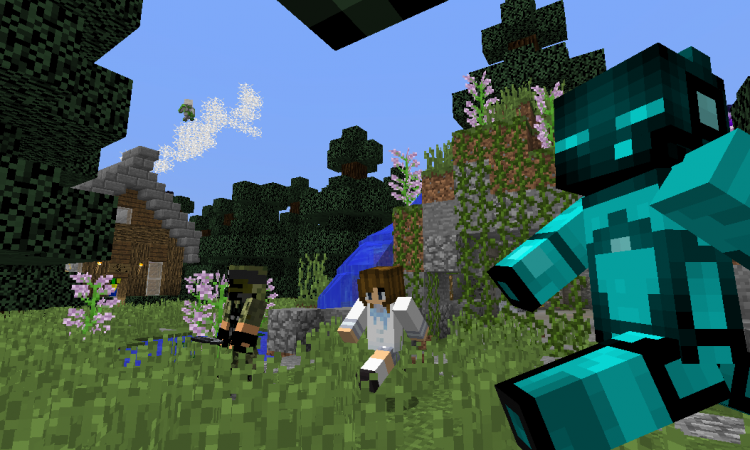 Kid Club is more than just a free, safe, kid-friendly Minecraft server. It’s also an online community where kids can explore their own creativity through unstructured play, collaborate with peers, and deepen their knowledge of Minecraft. Problem-solving, design, and STEM skills: Your child can try their hand at game design or work on basic coding within Kid Club’s unstructured play space. Advanced building techniques: Does your child want to learn redstone engineering or how to take Minecraft’s Creative Mode to the next level? Kid Club has no set curriculum but our online counselors are always there to help kids troubleshoot, collaborate, and lend their expertise. Web literacy and digital citizenship: Our online counselors encourage Kid Club participants to make safe choices online, practice good will toward others, and problem solve any conflicts that may arise. Why Join Our Kid Club Minecraft Server? Like all our servers, Kid Club is whitelisted. This means that Connected Camps manually gives each user permission to join. We uphold a Code of Conduct designed to minimize griefing and maximize respect and collaboration. Our approach is supported by sound research and testing in practice. Founded by a group of leading educational researchers, game designers, and technologists, Connected Camps offers a bridge between education and entertainment. We handpick our counselors, who are as enthusiastic about games and technology as our campers. All our counselors come from top university programs in disciplines like computer science, game development, and design. Join us for fun and free play in Kid Club today! Next Post:How Cooperative Games Turn Kids into Superheroes!